I’m always looking around at plants and flowers in people’s yards when I drive around town. I see these in the older neighborhoods in Montgomery, but I never see them for sale in any garden store or home stores. (That’s how I sometimes figure out plant names: by finding them at the garden store where they have a tag.) No one can seem to tell me what these red flowers are. 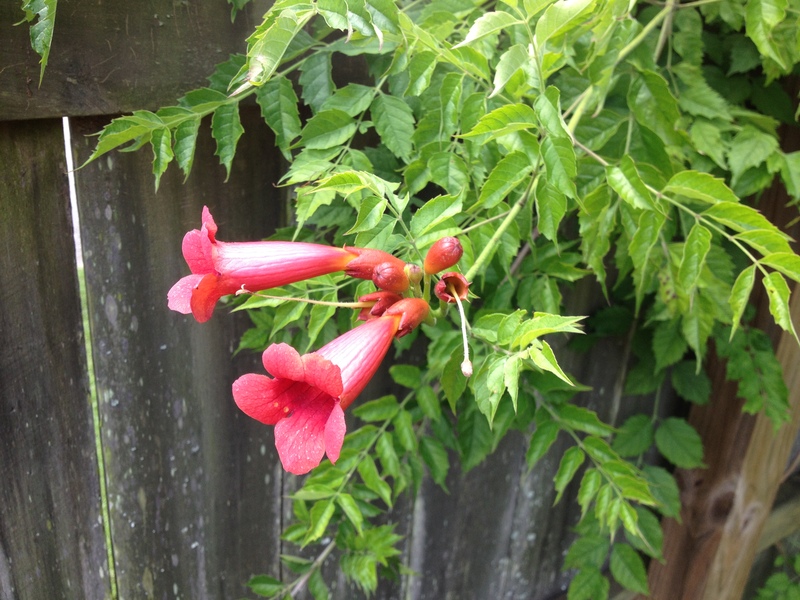 This picture comes from the ones growing on my father-in-law’s fence. The clusters of vines look a lot like wisteria. About all I know is that they bloom in summer, and the flowers look like something a hummingbird would be attracted to. 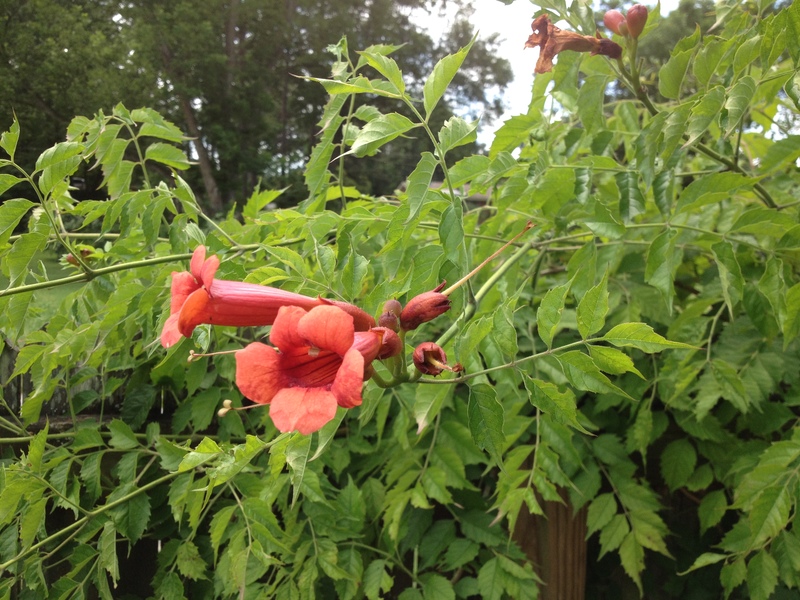 Trumpet vines are not the best of garden plants. They really spread once established and the aerial roots can really tear up siding on a house.